Shishin Roshi is President and Spiritual Leader of Great Mountain Zen Center. He is a senior Dharma Successor of Taizan Maezumi Roshi having received transmission in 1990 after 24 years of Zen training under Maezumi, Shunryu Suzuki Roshi and Sochu Suzuki Roshi. In January, 2006 he received Inka from Roshi Bernie Glassman in the Zen Peacemaker Order; he is an Elder and former President of the White Plum Asanga, the organization of Zen teachers in the lineage of Maezumi Roshi. Shishin Roshi received a Ph.D. in Physics from the University of California, Berkeley in 1967. He is the author of books and numerous articles on Buddhism, physics and oceanography. 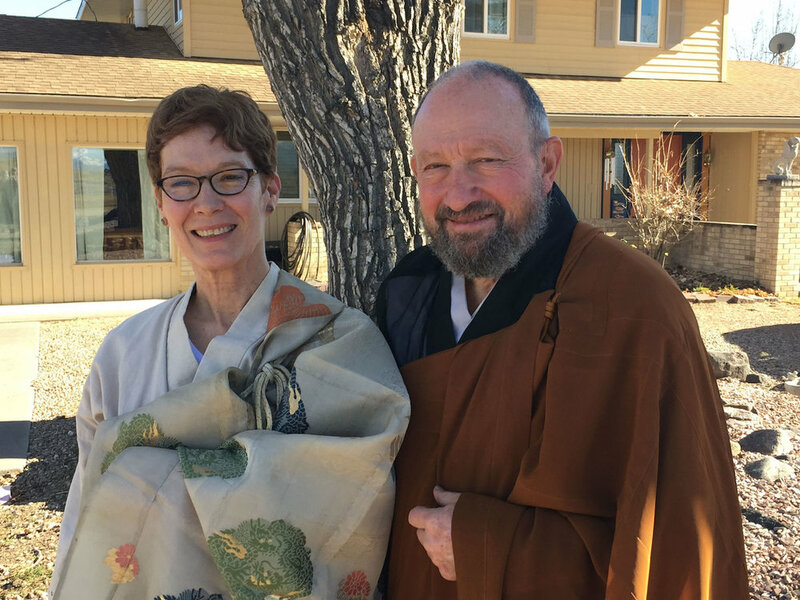 Roshi Shinko is Abbess at Maitreya Abbey in Berthoud where the Great Mountain Zen Center is housed. She was empowered to teach by Shishin Roshi in 2000 after 20 years of Zen training under Shishin Roshi, Philip Kapleau Roshi, and Pat Hawk Roshi. She completed formal Zen studies while simultaneously raising two children and running her business, Rama Imports. Roshi Shinko has an M.A. Degree in Archeology from Universidad Autonoma, Madrid, and has taught at the Caribbean University College, Puerto Rico. She co-authored The Great Heart Way with Shishin Roshi. In October 2015 she received Inka from Roshi Egyoku Nakao, Abbot of the Zen Center of Los Angeles.